You may be able to use alternative dispute resolution to resolve your personal injury case. 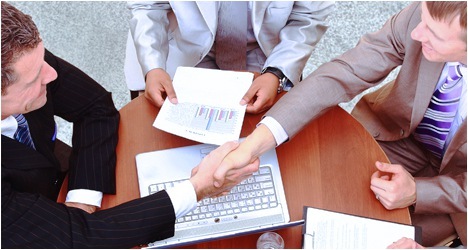 There are two types of alternative dispute resolution – arbitration and mediation. In many cases, they can be better options than going to a trial. Arbitration is an alternative dispute resolution to a trial. When two parties with a dispute cannot come close to an agreed resolution, arbitration may be better than a trial. In arbitration, the arbitrator acts like a judge and jury, and hears testimony, reviews evidence, and makes a decision. The arbitration can either be binding or non-binding, which means the parties may have to abide by it or not. Arbitration is quicker and cheaper than a trial, and the decision can be kept confidential. However, there is no chance to appeal. In mediation, the two parties work together with a mediator to reach a compromise on their case. They are free to either reach an agreement or not. Mediation is also cheaper and quicker than a trial, and it can also be confidential. Mediation gives the two parties the control to reach a compromise or not. It can also preserve the relationship after the case is over. If you are in a personal injury dispute with another person or entity, you should speak with a personal injury attorney rather than handling the case on your own. If you are in Houston, call the Houston personal injury attorneys at Kennedy Hodges at 855-947-0707. You can also visit us on Facebook. Call today to learn more.